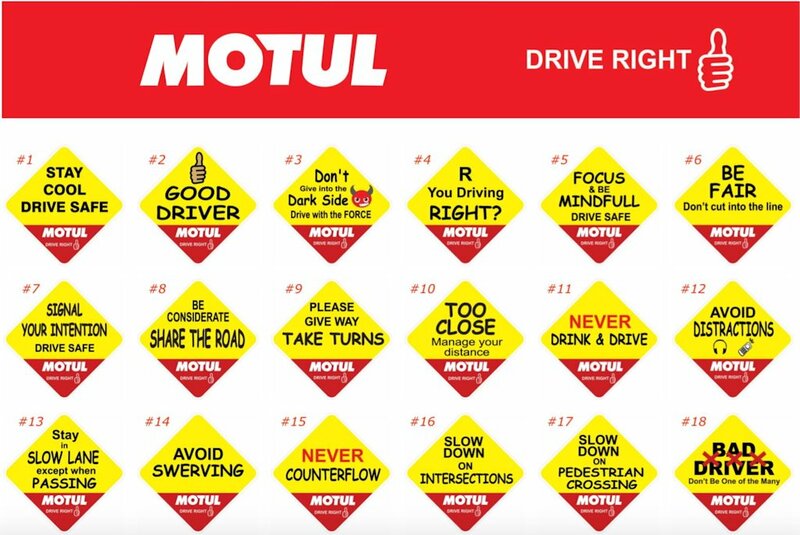 In an effort to promote driver discipline and defensive driving, Motul is introducing its Corporate Social Responsibility (CSR) campaign at the Manila International Auto Show. The CSR campaign was borne out of the frustrations of the everyday driver. More than a decade ago, the traffic situation was far safer and driving along EDSA was a stress-free experience. These days, it is chaotic out with every driver having a free-for-all, as each one fight for every inch of space almost everyday. Road rage incidents are common, and hopefully, this Drive Right campaign will remind everybody out there that the roads are for everybody and we must learn to share it with discipline and inspire goodwill among fellow drivers. At the Motul booth at the MIAS, visitors can avail of “Drive Right” car stickers by simply registering their name and e-mail address. 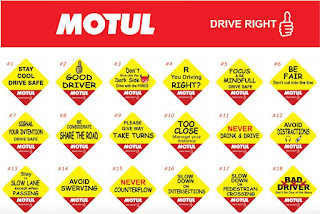 It is Motul’s small contribution in making our roads a safer place enjoyed by disciplined and defensive drivers.